Hi Everyone! My name is Marilyn and I'm one of the new members of Bizzy Bec's design team and am so pleased to be here. 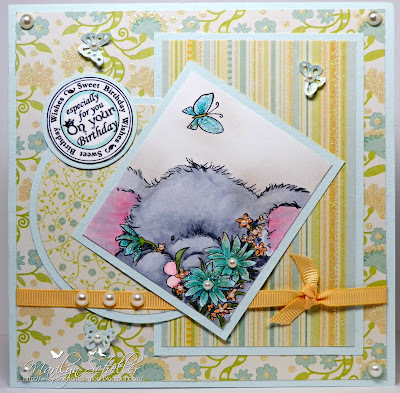 My card today is stamped with Wild Rose Studio's Bella Butterfly which is available at Bec's store and coloured with Copics. The papers are from a DCWV paper pad called Nana's Nursery and the sentiment is from our very own Bec and available as a freebie here. There is also a new challenge at here in a few days and all I will say is colour, colour, colour and yummy! 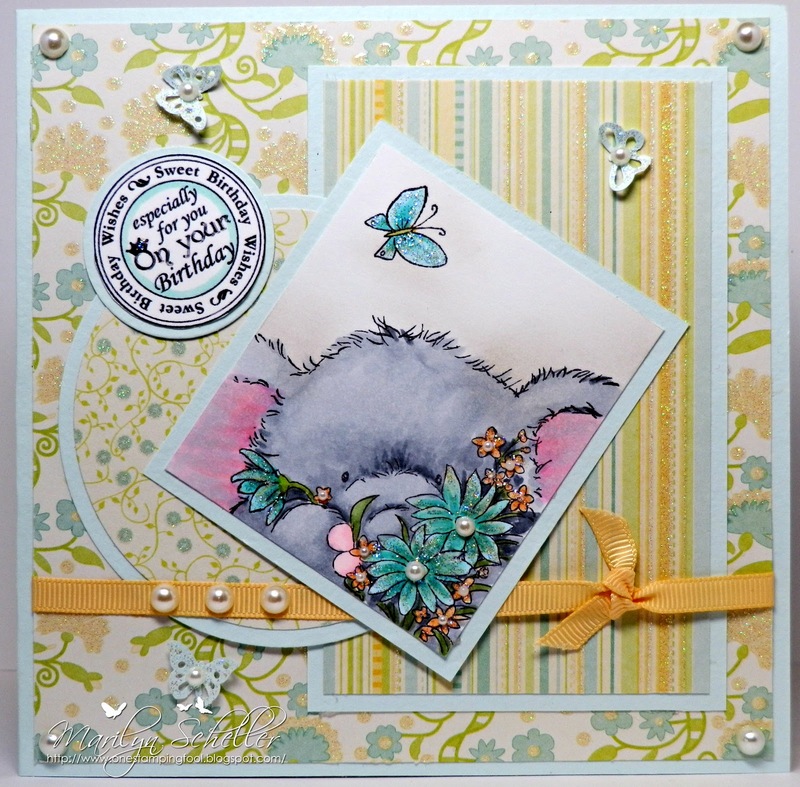 Hi Marilyn, Stunning card love the colours and the gorgeous image, so cute! Hi Marilyn, this card is very sweet and I love the stamp and the colours.